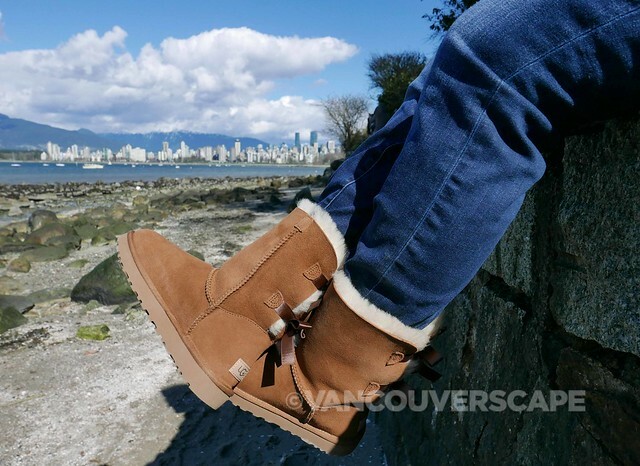 Mother’s Day is just around the corner and with fragrances, purses and jewellery topping the lists, we thought of another luxurious way to spoil Mom — with a pair of cozy UGG boots! These UGG Bailey Bow II’s add a little bling to UGG’s Classic II short boots. Two little sewn-in satin bows grace the back of each boot, which is what caught my eye while out shopping recently. 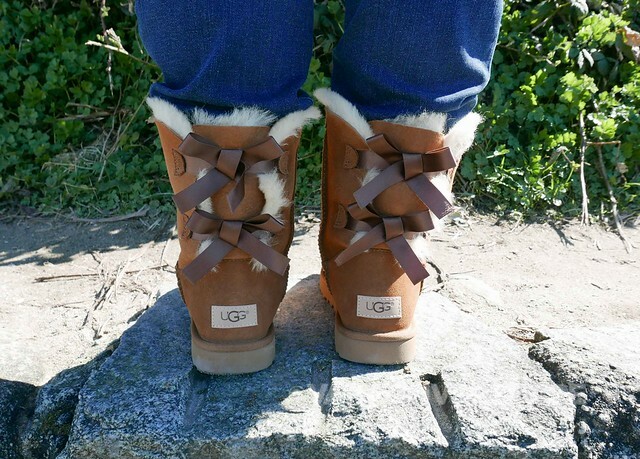 The bows are integrated into UGG’s own stitched details for a smart accent to the iconic line. Slip these on for a super comfortable day out on the town or morning coffee run. 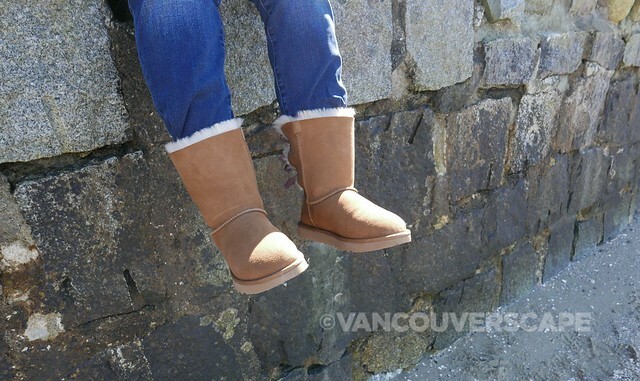 The moment you pull them on, the UGGpure™ plush sheepskin shearling interior moulds to your feet. They’ve been pretreated to protect against water and stains, perfect for our wet coast. The Treadlite by UGG™ outsole adds cushioning, traction and durability to these soft and cozy boots. Tucking these into jeans are perfect as the boot offers ample leg room. 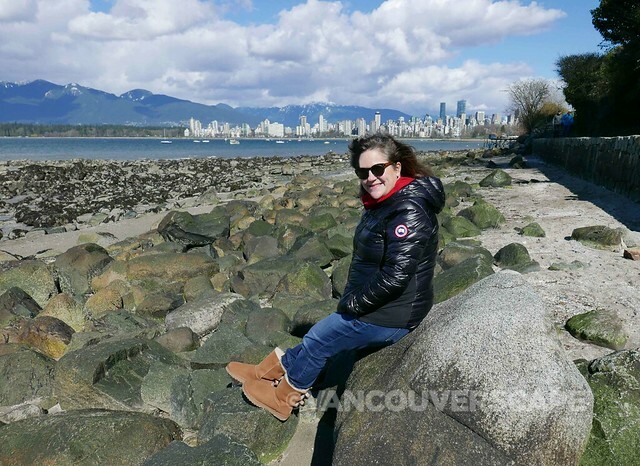 I’ve been out walking on the seawall and even though spring is in the air, these lightweight babies keep my feet warm when the winds whip up. Your Mom will love how easy they integrate into a wardrobe, stay true to form and allow the feet to breathe in all seasons via the use of natural wool. Available in navy, black, chestnut and grey and natural, UGG’s Bailey Bow II boots retail for CAD $255. There’s also a tall version available in the same four colours (though that model only appears to be available on the US website). My UGG Bailey Bow II’s were provided by UGG USA for this feature. Opinions, as always, are my own. Non-watermarked images courtesy of UGG.